Completing the excerpt from my book, Sacred Anatomy . . . .
Once we have established the proper terrain within our body temples for the reception of cosmic power by taking in a sufficient amount of these minerals and trace elements, along with the oils of essential fatty acids which serve as insulators and carriers of minerals throughout the body, we have the opportunity to learn how to handle this increased sacred energy as it intensifies and we feel the power of life surging up in our bones and muscles, brain and nervous system. We feel it particularly keen in our hearts and emotional realms. We begin to know something of the power that was at work through the Ark of the Covenant. Divine cosmic technology was obviously at work within and through the Ark and only the High Priest and priests of the temple service, Aaron and his two sons, were able to enter the tabernacle, and then only after being washed and anointed with oils. Anyone else not sanctified would be struck dead if he even touched the ark, as one man reportedly was who tried to prevent it from falling on one occasion. The priests were trained for years on how to handle the Ark when it had to be moved. No doubt the oils acted as an insulator, as did the leather of the badger skins used to cover the Ark. Whatever the case may have been, this was not a “good people versus bad people”arrangement Moses’ God had arbitrarily set up. This was an actual state relative to the Ark and how it was constructed with precious metals and minerals, which had been belched up from out of the belly of the planet during cataclysms. The Egyptians had apparently mined the gold and other precious metals and fashioned them into bracelets, chains, bowls and even idols of their gods. The Israelites had taken many of these items with them in their exodus from Egypt, along with the spoils of war they had accumulated after conquering so many armies in their journey through the wilderness. There is a very beautiful accounting in the biblical story in Genesis of how Moses and Aaron invited the Israelites to offer up some of these treasures in order to build the Ark. Wooden staves were placed through brass rings connected to the Ark so that it could be carried safely. Obviously powerful forces and energies were being conducted and re-focused in and through this Ark of gold and other precious metals. The wood itself represents resonant substance. For powerful forces to move through the human heart, mind and body, there needs to be a rich reservoir of resonant substance in them, particularly in the heart which entertains and contains so many currents at work both within the individual and in the ever changing vibrational terrain of the world. Oil is symbolic of love, the substance of love which lubricates the mechanism of heart and mind. The substance of love increases in the heart as it is kept open upward in love-response to the Lord of Love. It is dissipated when the heart is turned outward by mental judgment and emotional reaction to external events that arouse fear and resentment, jealousy and complaint. We have seen the crucial role of minerals; oils from fats are also essential in the body temple, both for lubrication and protection, as well as insulation for nerve fibers. They are increased through a diet rich in essential fatty acids from seeds and nuts as well as deep-sea and cold-water fish. They are dissipated by oxidation due to the consumption of processed oils that have been “hurt” by harsh and damaging procedures and practices. Vegetable oil is “hurt” when it is heated at high temperatures and exposed to air and light, all the things that are done to commercially processed oils today. They oxidize and go rancid. In that state they erode body tissue with which they come in contact, internal tissue as well as external tissue such as skin, and they destroy high-density lipoprotein (HDL) in the body. Rancid oils are “hurt” beyond repair and should not be consumed or applied to the skin. The “third seal” is in the Pancreas, which we will consider later. It is worth mentioning here, however, that the function of the Pancreas, in partnership with the Thyroid and Adrenal glands, has to do with balancing and managing energy in the body temple. Oil and fat are used in the body as slow-burning fuel for energy, as a lubricant, and as an insulator for nerves and an anti-oxidant for body cells to help them retain oxygen, essential in the burning of toxins and production of energy. While meditating on these awesome things, I am keenly aware that we have an arc of the covenant of love in our own body temples where these two endocrine glands rest protected and enfolded within the envelopment of the brain. 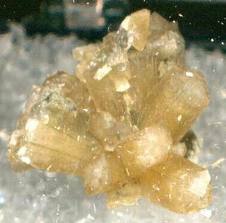 The presence of this tiny crystal which I mentioned earlier, comprising the Pineal Body, is the prime clue. There is little doubt in my mind that this crystal refocuses the light of the angel incarnate “waiting in the wings” for the opportunity to fully incarnate and have expression and action on earth. There is surely an arc of spiritual light between the Pineal and Pituitary glands, which is intensified during the daylight hours when the sunlight enters in through the eyes, and diminished at night or when the lights grow dim. The circadian rhythms of the body are established in this way. This would account for why one may become very depressed if one spends too many of the waking hours in a room deprived of sunlight. Artificial light simply does not provide the full spectrum of sunlight needed to stimulate these hormonal centers. There are “full spectrum” light bulbs available today, but even these do not radiate the complete spectrum of solar light. For one thing, the invisible aspects of light, ultraviolet and infrared red, are missing in artificial light. It is clearly evident that we need the whole light spectrum in order for these spiritual energy centers to be up to par in their vibratory health and stamina so as to function normally and optimally in resonance with the seven dimensional spectrum of light. Of even greater importance is the nourishment that sunlight brings to the entire body temple, just as light of love brings spiritual nourishment to the endocrine centers and through them to the temple as well. One very significant example of this nourishment is the process by which sunlight converts oils in the skin to vitamin D, which is needed in the metabolism and utilization of calcium by the bones. Here we have the light, the oils and the minerals all together playing integral and co-creative parts in the body. Jacob’s words of realization in the Old Testament story of the time he had dreamt of a ladder reaching up to heaven from the earth with angels ascending and descending upon it, speak to this reality. He exclaimed after awakening from his dream, “Surely the Lord is in this place, and I knew it not…. How dreadful is this place! This is none other but the house of God, and this is the gate of heaven.” (Genesis 29:16-17). The place was Jacob’s own body temple. The ladder can be seen as the seven endocrine glands with “angels” stationed in each of these “churches” connecting earth with heaven. All of the anatomy is sacred and present for the incarnation of divine being. The only question is, how available is it to the angel incarnate? In my next blog post I will share with you another excerpt from my book which describes the spiritual significance of the Pineal Gland and the crucial role it is playing today, indeed this very moment in time, quelling the violence in the world and bringing about peace and kindness, love and forgiveness, and the ascension of human consciousness to a higher level of vibration in our very day. This is unprecedented and deeply exciting!